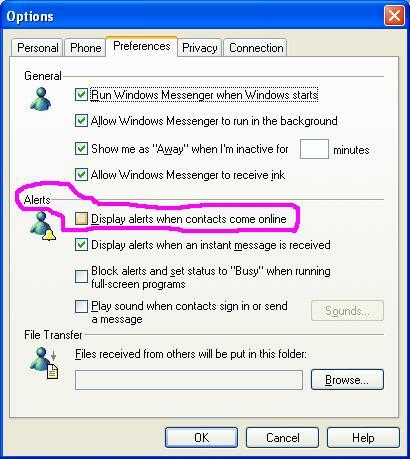 Tip O The Day: Quit Buggin Me, Messenger. Fred Has Just Signed In! Ginger Has Just Signed Out! Mary Has Just Gone To Lunch! Barry Has Just Picked His Nose! 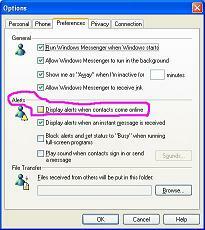 Do NOT display alerts when contacts come online.